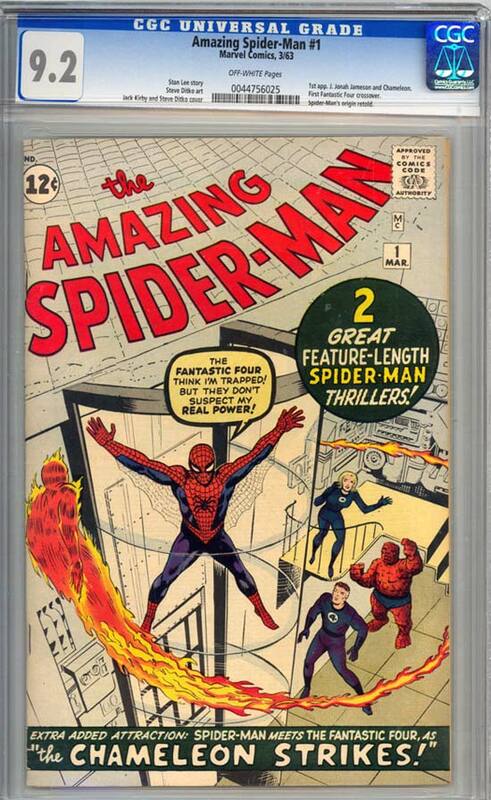 High Grade copy of this ever-popular 1st issue, with cover art by Jack Kirby and Steve Ditko and interior art by Ditko. Issue features the first appearance of J. Jonah Jameson and the Chameleon. Appearance by the Fantastic Four. Origin of Spider-Man retold. This is a gorgeous copy, with a white cover and great cover colors. Back cover is clean and problem-free as well. Only the slightest corner wear keeps it from Near Mint quality.